Let’s take a look at the latest short hair trends of 2016! Here in this post we have collected Must-Try Short Hairstyle Trends for 2016 that you will love to opt with! Long pixie cuts are one of the most preferred pixies of our time so this one is perfect for ladies with oval and triangle face shape. 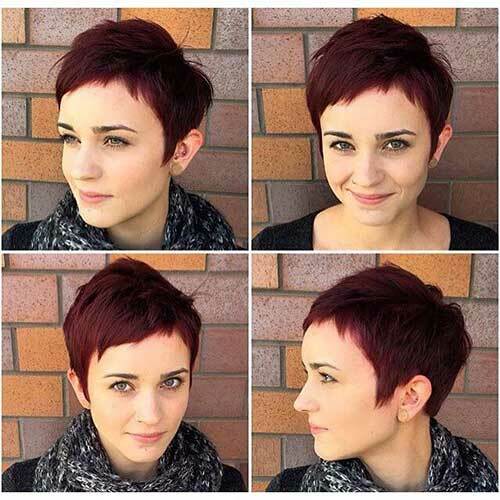 This long pixie cut is almost looks like a short bob and the hair color and messy style definitely looks gorgeous. 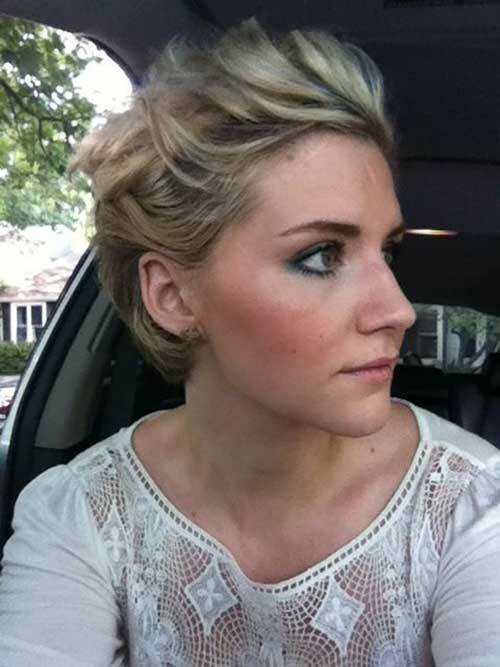 Here is another short hair color and style idea for special occasions. 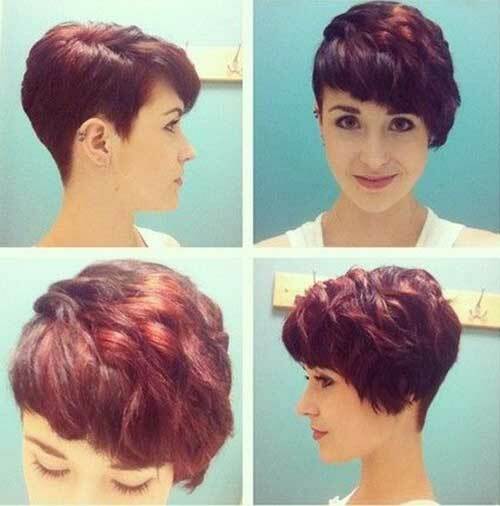 If you have light skin tone like this girl below short cropped hairstyles with copper hair color is a good idea. 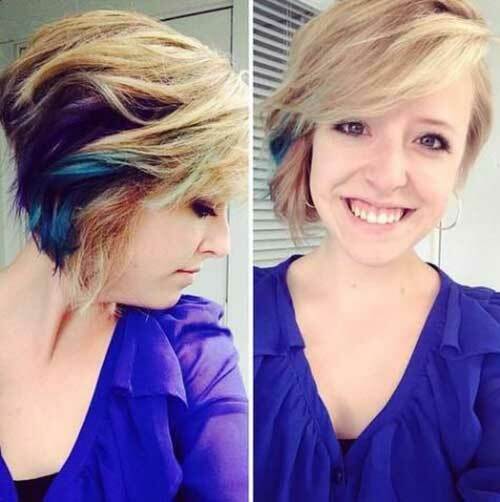 Here is an asymmetrical short hairstyle that is definitely eye-catching and cool looking. 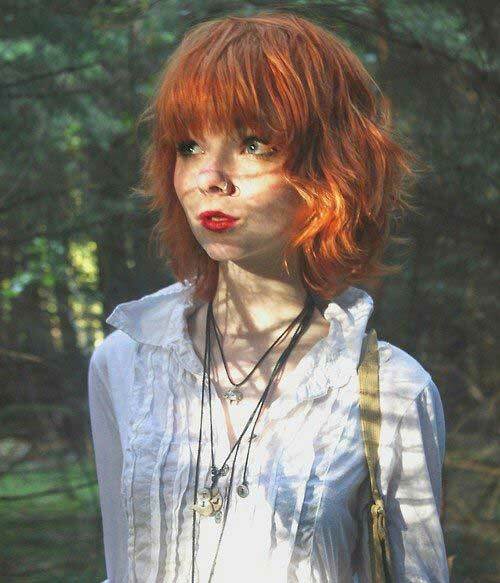 This red bob hairstyle with choppy layers and long bangs definitely frame this girl’s petite face. 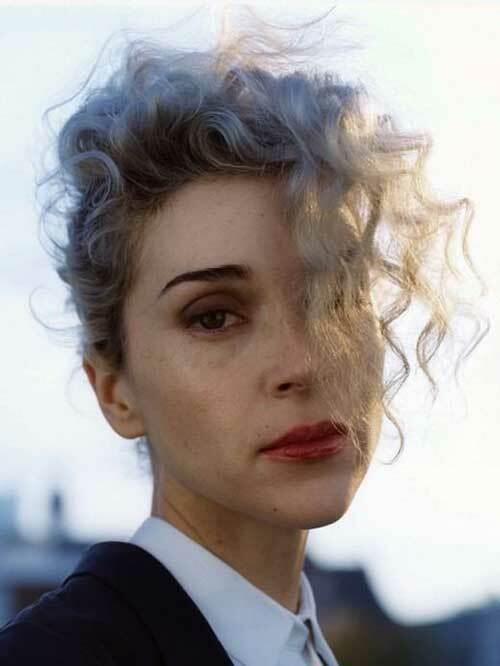 This blonde gray and curly short hairstyle looks effortlessly cool and stylish. Black women can opt with this short cropped hairstyle if they like something eye-catching and cute. 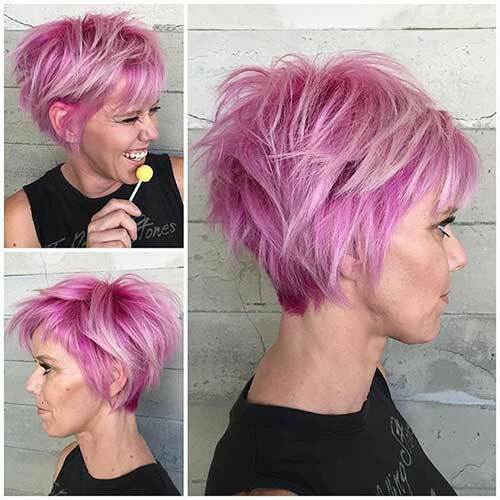 This messy and layered short hairstyle with pink hair color and highlights can definitely boost your spirit. 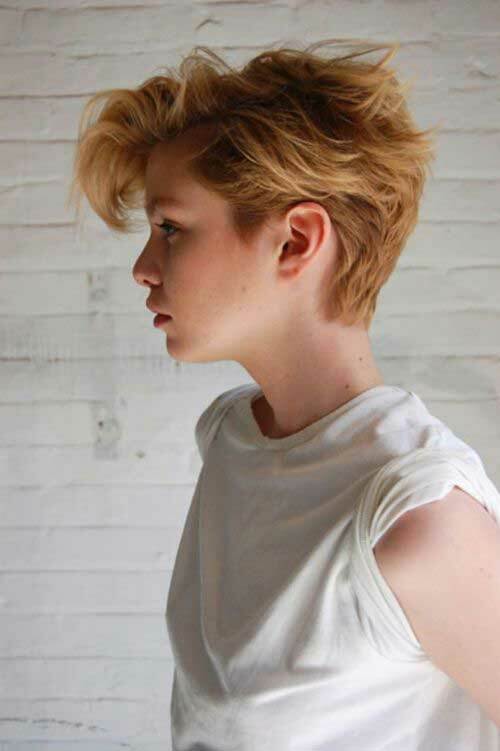 This dark blonde pixie cut with with really nice style and hair on top create a cool style. In this pix you will see the back view of a pixie cut with shaves sides and shorter back. 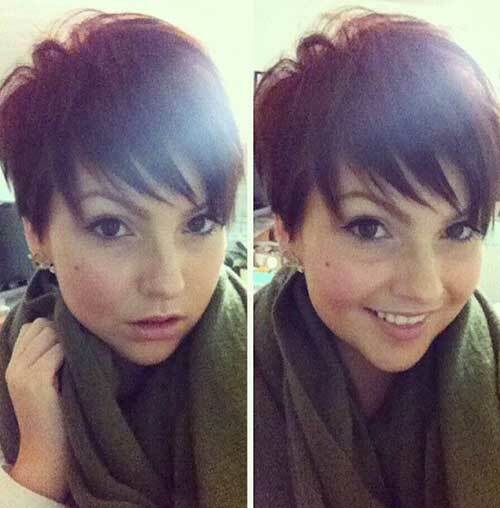 Short bob hairstyles with layering and blunt bangs looks really adorable with dark hair color. She has sported pixie cuts for a while but nowadays we have seen her with a platinum blonde bob. 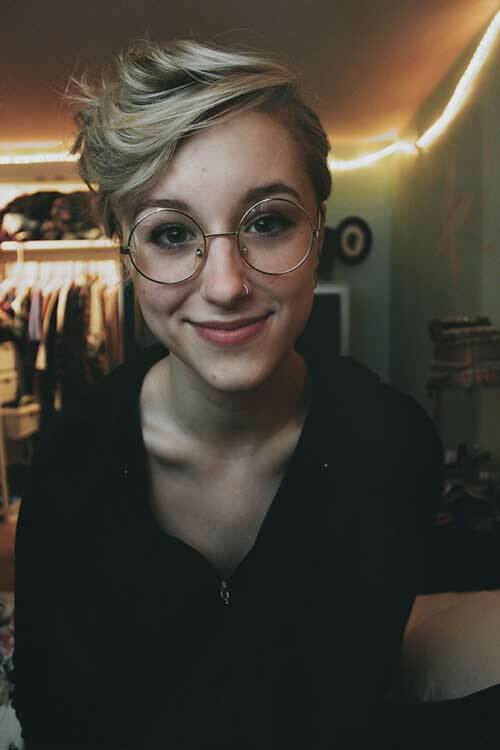 Look at this girls with gorgeous blonde pixie cut and glasses! Isn’t she look cute and chic? 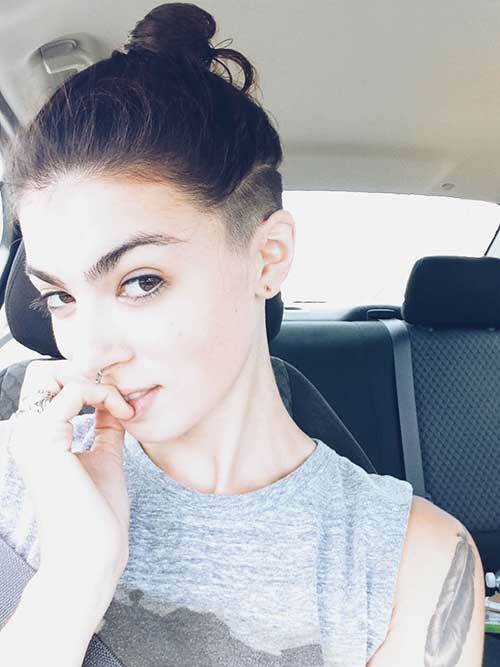 Look at this cute bun and undercut style that can be sported by young women. 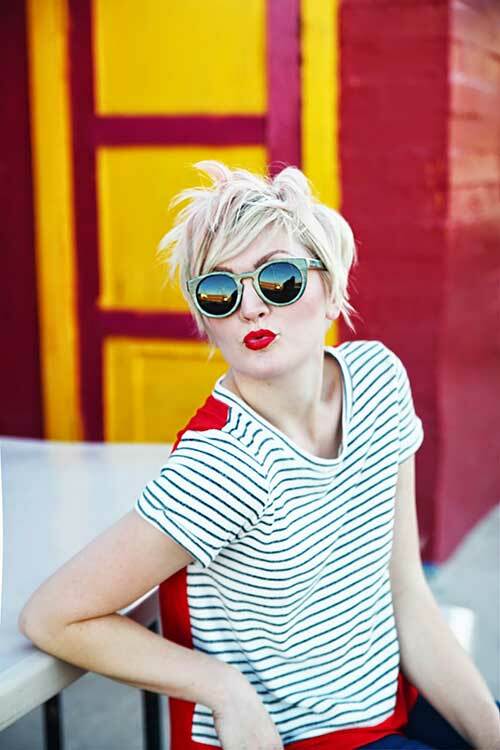 Messy, spiky an blondie… She looks definitely cool with her glasses, ash blonde pixie and red lips. 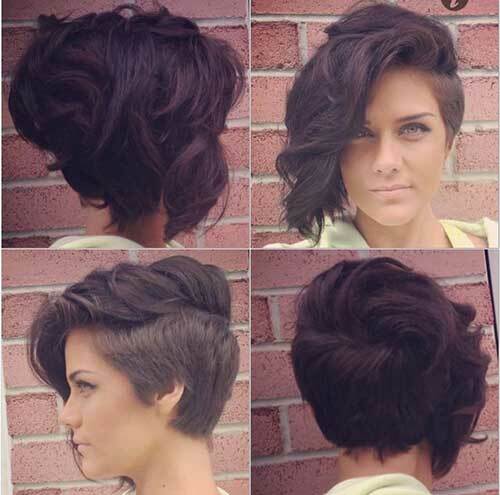 Voluminous short hairstyles are always a good idea to create a stylish look for every occasions.